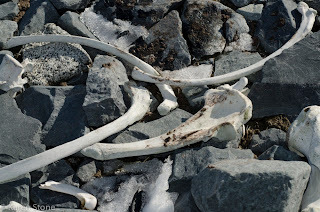 one of the things that was most haunting for me in Antarctica was the sheer amount of mammal, particularly cetacean bones, that littered many of the landing sites. Here is the story behind them..
By the time the 1900's rolled around, the harpoon had been developed (1868), as had the first of the steam powered ships, enabling the whalers to stay out at sea and harvest many more whales at one time. 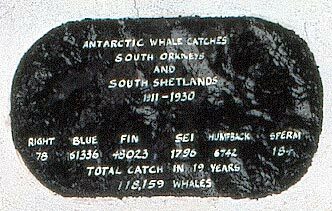 The devastating picture below shows the catches of the South Orkney and Shetland Isles between the period of 1911 and 1930. Even more whaling continued and in 1924 the arrival of the first factory ship in Antarctica. By the time 1930 rolls around there are 38 factory ships, mostly British and Norwegian operating in Antarctic waters. 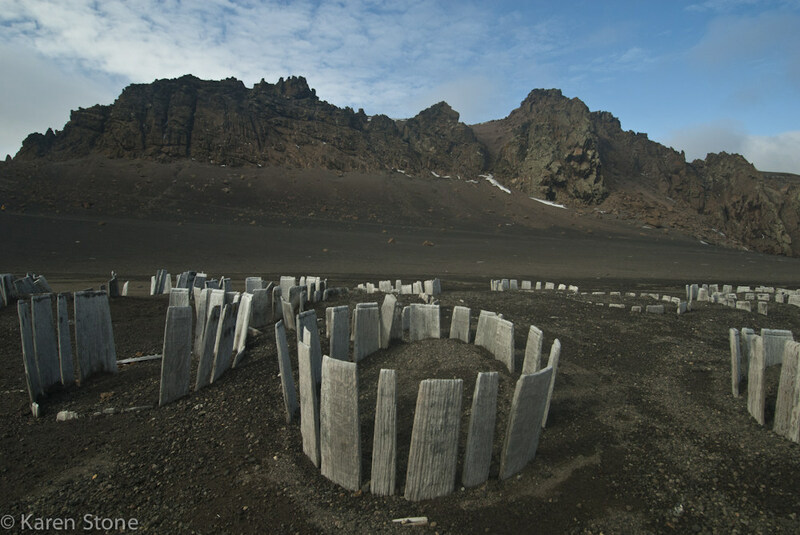 Deception Island was instrumental in the whaling by housing the first boilers, not for the blubber but to take the carcasses from the factory ships, boil them down and extract extra whale oil which was held in the vats above. The island at its peak had 13 factory ships based here, but became economically unprofitable in 1931 after the great depression. It was never re-opened as the factory ships became so advanced they no longer needed the shore stations. 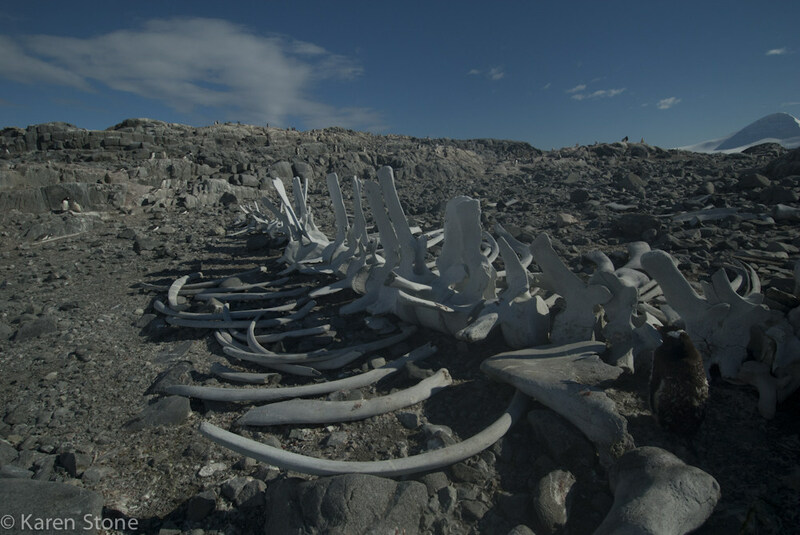 In the years 1927 and 1929, whale kills of 13,775 and 40,201 were recorded respectively. The largest year on record was 1937, where 46,039 whales are recorded killed. 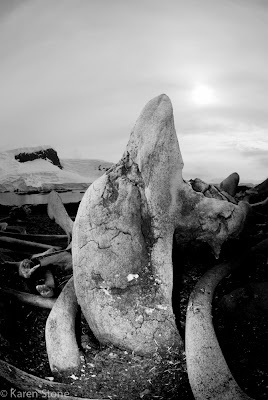 The same year the International Agreement for the Regulation of Whaling is signed in London. By 1964, the whalers are able to find and kill only 20 Blue whales, and the following year they become protected by the IWC which was started in 1946. Since then the economic benefits of whaling have faded and most countries pulled away from commercial whaling, though still a few remain. Seeing all these bones deserted and left gave me a heavy heart, these numbers and figures are the ones recorded, we know on the other side of Antarctica, many went unrecorded. 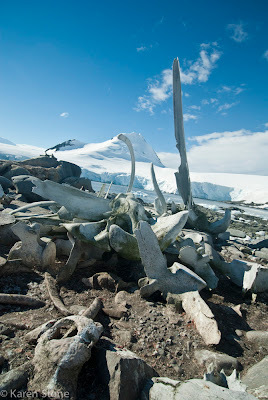 Despite all these reminders, there continues to be whaling in the Southern Ocean today, approx 300 whales, mainly Minke whales but also Fins, are caught each year. 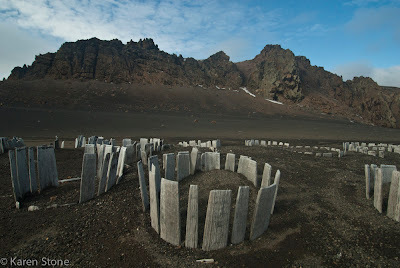 For the last 2 years these targets have not been met and the whaling ships return home emptier than they can afford. Politics keeps these whaling ships going South each year, it no longer has anything to do with commercial gain or necessity. 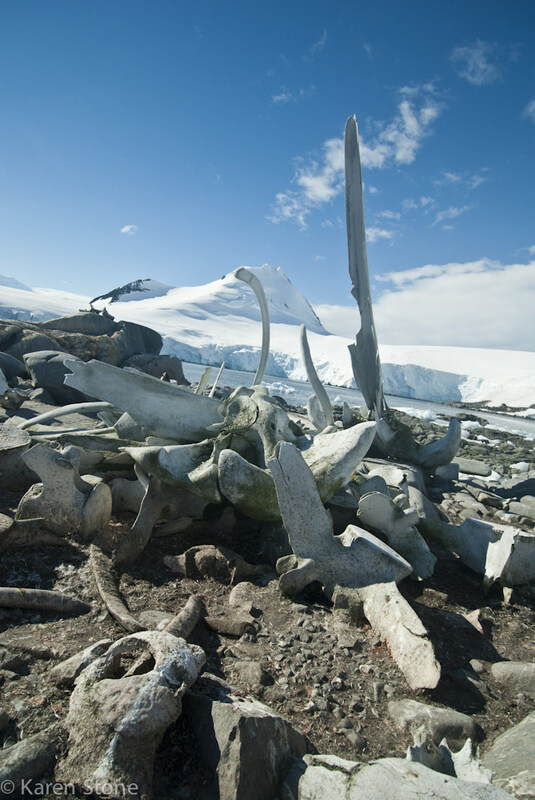 Cetaceans were not the only species hunted, seals were decimated before the whaling ships began, seal meat was fed to the dogs that were allowed on Antarctica until 1994. 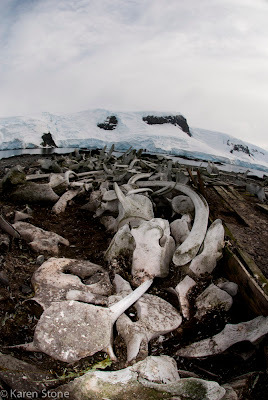 Also under the Antarctic Treaty first introduced in 1961 and then amended to included species conservation and environmental protection, is why the whale bones remain untouched and a painful reminder to all that go there of the damage we, as humans have committed.